If we can say anything good about President Obama’s health law it is that it has forced us as citizens to delve into the intricate details of where our tax monies are being spent under an increasingly Socialist agenda. What we find is a beast. Fiscal conservatives’ vigilance is a source for hope. I am especially grateful for recent efforts to oppose Ohio’s participation in federal Medicaid expansion. Because of my work in the pro-life movement, and necessary examination of governmental policies regarding protections for human beings from first spark of life to last breath, I can provide a slightly different, yet still disturbing, perspective on Medicaid expansion. 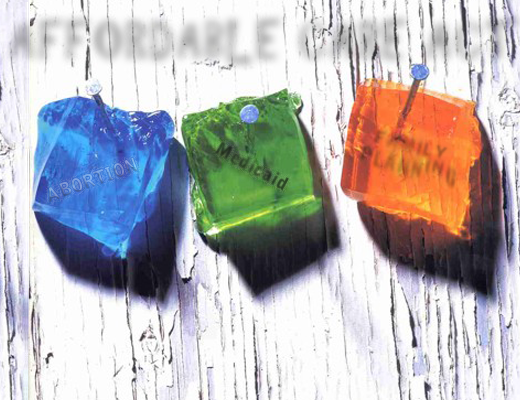 Sorting through the un-Affordable Care Act, however, is like nailing jello to the wall, because this document is a living, breathing, growing animal. Early in March, we learned that 700 additional pages had been added to the existing 2,500-page-plus monster, including expansion of abortion coverage. Also, Section 1303 of the bill simply bypasses federal Hyde Amendment restrictions that federal funds appropriated to HHS by Congress cannot be spent for health benefits coverage that includes elective abortion–one more example of this administration’s overstepping of established law. The following Medicaid expansion concerns from a pro-life perspective were incorporated into a statement from Ohio ProLife Action to Governor Kasich and state legislators. We are urging that they decline federal monies, which are attached to anti-life policies and regulations, and not encourage the federal government to incur greater debt to fund this expansion of federal control over Ohio citizens and their health care decisions. Medicaid expansion will expand these tax-funded practices to the underprivileged, which not only violate the conscience rights of many taxpayers, but are elective and medically unnecessary procedures and drugs. And lest some think only Ohio notices the Planned Parenthood connection, abortion is front and center with Arizona’s Medicaid expansion efforts. The Center for Arizona Policy is using an opinion from the Alliance Defending Freedom legal-defense organization to argue that Arizona’s draft Medicaid legislation should at least be amended to disqualify this abortion provider from receiving public money. Meanwhile, with no ties to the federal health law, President Obama (or his administration) is safe. And there are no guarantees that this medical monstrosity will not grow worse, due to the vast discretionary power granted to the head of the Department of Health and Human Services, Kathleen Sebelius, said to be the most pro-abortion politician in the country. Our only hope is that vigilance from many quarters—fiscal conservatives, pro-life, pro-family, etc.—will influence legislators to work for true financial freedom for our country, not quick fixes that may dupe some in the short term as a good but will soon become a tax and conscience burden too heavy to overturn. Regardless, we ain’t goin’ away. Paula Westwood is Executive Director of Right to Life of Greater Cincinnati (CincinnatiRightToLife.org), board member for Ohio Pro-Life Action (OhioProLifeAction.com), and weekly pro-life news contributor for the Son Rise Morning Show, Sacred Heart Radio/EWTN (513/728-7870, pwestwood@cincinnatirighttolife.org). 3 Guttmacher Institute: State Policies in Brief – State Funding of Abortion Under Medicaid, http://www.guttmacher.org/statecenter/spibs/spib_SFAM.pdf. 5 “…it is worth noting that state Medicaid programs are already required to cover family planning services without cost-sharing….” The Kaiser Family Foundation Issue Brief: State Coverage of Preventive Services for Women Under Medicaid, http://www.kff.org/womenshealth/upload/8330.pdf.